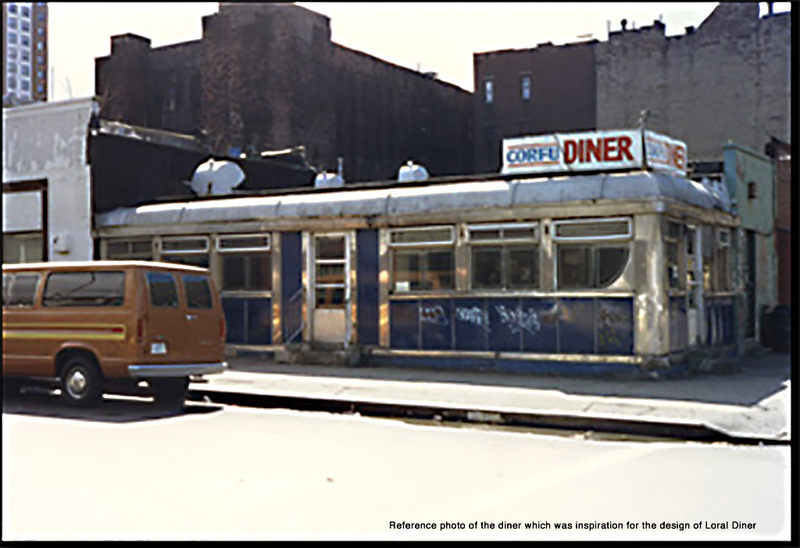 Corfu Diner, located in the Chelsea section of Manhattan. All of the surrounding buildings are different in the sculpture than in reality. 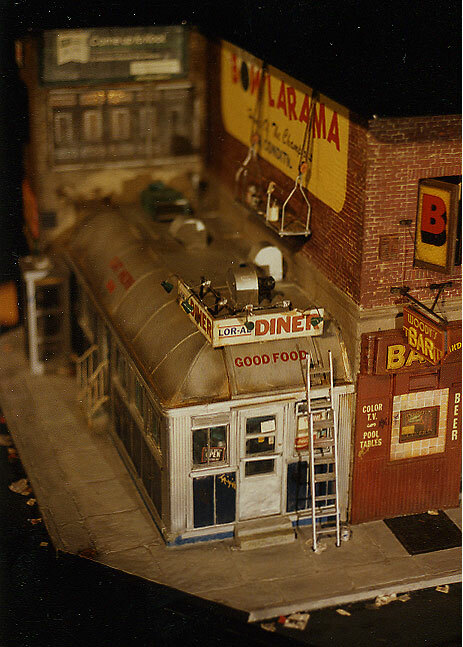 Besides the detailed interior of the diner, there is also a view into "Woody's" bar next door. 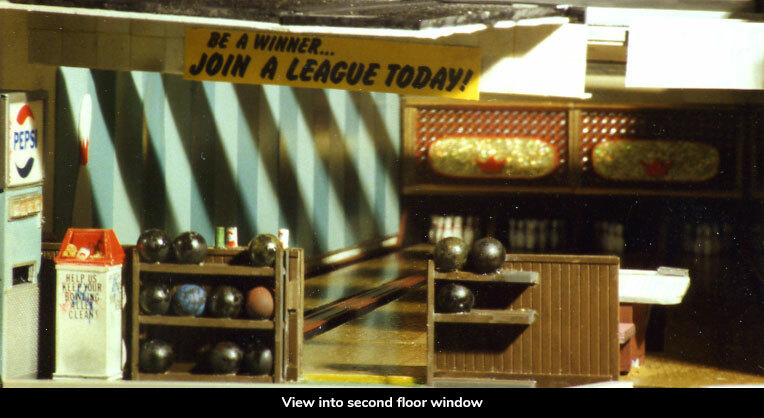 A peek into the partially open second floor window reveals the interior of "Bowlarama," complete with eight lanes, shoe rental and vending machines. 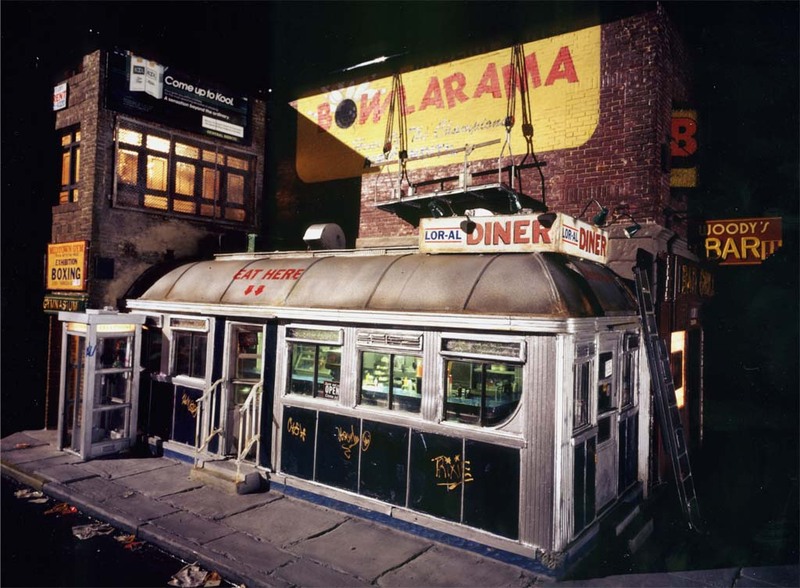 Looking at the roof of the diner, you can see where the sign painters working on the Bowling Alley sign dumped a gallon of blue paint from the scaffolding.